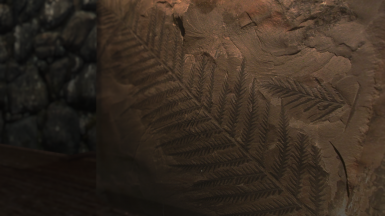 Adds fossils that you can find while mining to make mining more profitable and interesting, brought to you with the help of the creator of Legacy of the Dragonborn with built-in Legacy support! icecreamassassin, for coding and scripting this from the ground up and being very patient. 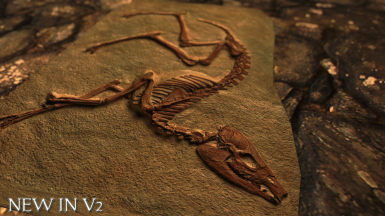 Berkian1993 for contributing over 100 awesome new fossil meshes/textures. every 30 in-game days. They roll once on T1 or above and once on T2 and above. - Added an extra fail-safe for the mining systems which will re-initialize them each game load. So if something happens and fossil drops just stop, simply save and reload your game. UPGRADING: Make sure to DELETE all previous fossil mining files before installing. Many files were updated and if you leave loose files, they will overwrite files from V2 because V2 is packed in a BSA and loose files always overwrite BSA files. -fixed issue with ancient nordic pickaxe and Luca's pickaxe (Legacy of the dragonborn) not being added to mining tools list, and certain dragonborn geodes not being added correctly. 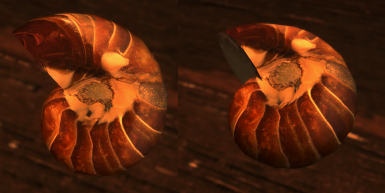 This mod was co-created by icecreamassassin, creator of Legacy of the Dragonborn, and aviform, who you will probably subconsciously connect with cheese at some point. 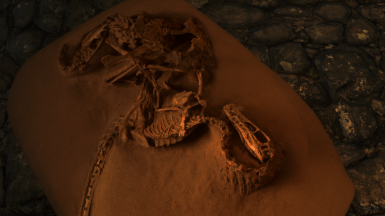 It adds 146 fossils that you can find randomly while mining, in tiers of rarity, to make mining more interesting and more profitable. 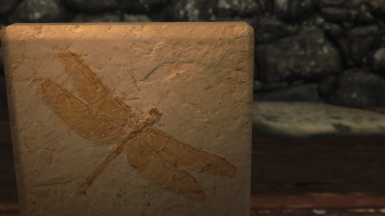 You can even add the fossils you collect to your Legacy of the Dragonborn museum if using it! 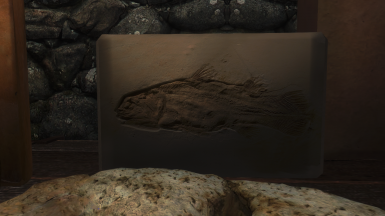 Adds the most commonly found fossils irl. 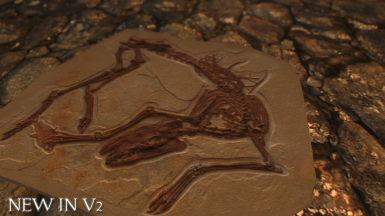 This is the most common tier of fossils you'll find, ones that any beginner can find easily. 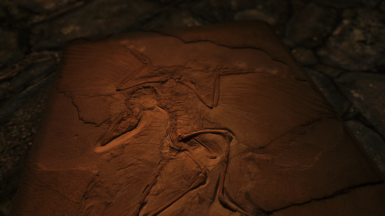 This tier includes smaller, more indistinct fossils, such as bone and eggshell fragments and pieces of fossilized coral. Adds fossils a beginner would have trouble finding on their own, but could easily find sold at a fair price. 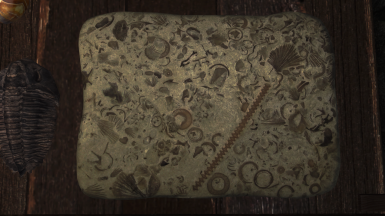 This tier includes fossilized shells, amber, trilobites and more. Adds fossils a beginner almost certainly wouldn't find, and would have difficulty finding for sale at an affordable price (unless they're faked!) 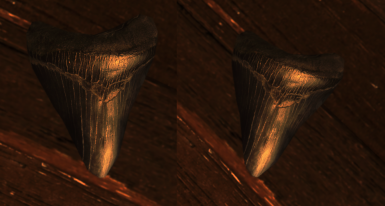 This tier includes fossilized eggs, skulls, claws, teeth, and more. 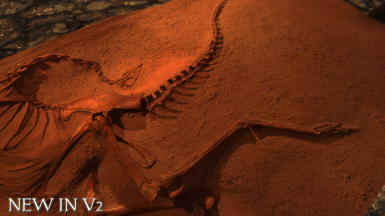 This tier is the rarest, comprised of fossils that would be (and are, since they're based on real fossils) considered national treasures if found, and includes large, distinct, unique fossils, such as an entire nest, the well-known Fighting Dinosaurs fossil (here named Fighting Saurians, along with many other renamed fossils, so as to not conflict with lore) and more. 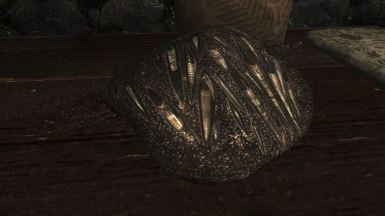 You will likely need to mine every ore in vanilla Skyrim for a shot at finding all of these rare fossils. 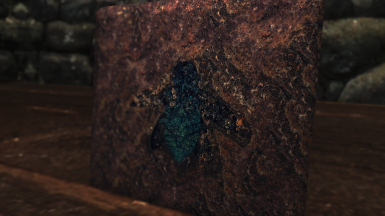 In the geodes found in Blackreach, you may find extra rare crystallized fossils among the normal possibilities. 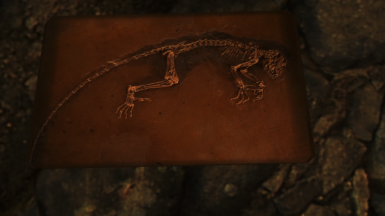 These fossils were crystallized over time and can only be found in geodes (in Blackreach or in the special geodes found in Dragonborn). 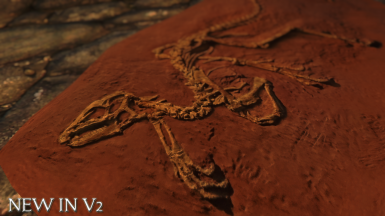 OVER 104 NEW FOSSILS, bringing the total to 145 - 3.5x as many as in version 1! The expansion was made possible by the resources here by Berkian. 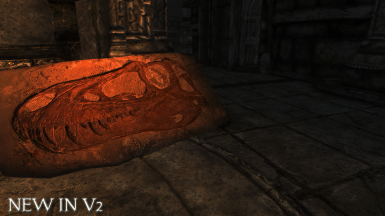 For Legacy of the Dragonborn users, the newest edition of the Museum now has separate area for all the fossils! 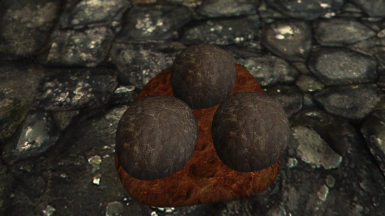 When mining heartstone deposits on Solsthiem or any mining deposit around the hot springs tundra area of Skyrim, you have a chance of finding a few extra special rare fossils among the normal possibilities. 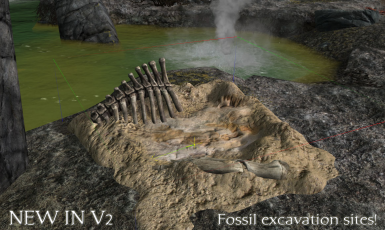 These special dig sites can be found around the tundra hot springs and will yield 2 guaranteed fossil drops each time they are found; one on Tier 1 or above and one on Tier 2 or above. These very rare spots will also refresh after 30 in-game days to allow further digging. 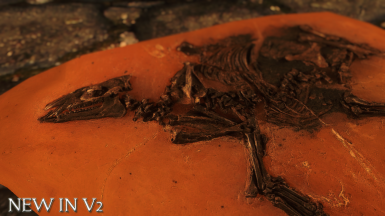 Also included is the ability to find and assemble a fossilized dragon skeleton. Once you find all the bones, you can combine them at the forge and place the complete skeleton (you will need a very large open space for this, it is huge). This mod contains support for placing the skeleton, but you may find it easier to place it using Jaxons Positioner if you have it. 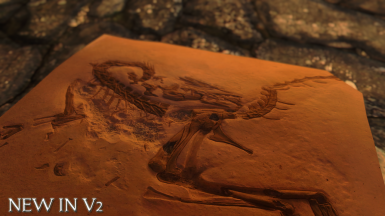 Once you find the fossils, you can keep them and display them in Legacy of the Dragonborn in the Gallery of Natural Science, or you can sell them for profit! How much each fossil sells for is dependent on rarity; tier one fossils will not sell for very much, while tier four will net you a very decent price. The mod comes with built-in support for CCOR, Legacy of the Dragonborn, and all official DLC's, but does not require any of them and can be used with vanilla on its own. I you're using this with Legacy, make sure to follow these instructions. 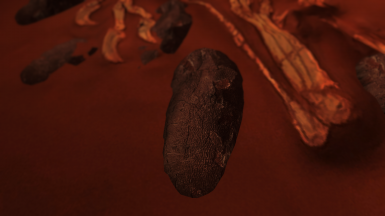 The way the Fossil Mining system works is two fold: first is a script which watches for the player to mine and listens for the strike sound of mining generated by the player, much like an animation event. It listens for 9 strikes by default (unless using CCOR faster or slower mining settings) and will roll on the fossil drop table. The second method is for direct pick axe attacks against mine deposits which uses an updating script which attaches another script temporarily to any ore deposit you are targeting. When you strike it, the script registers strike counts and yields a fossil roll after 9 hits (or less with CCOR). 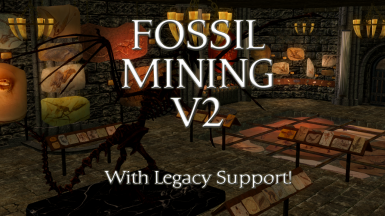 Future editions of Fossil Mining will include integrated support for other mining mods in the near future as well. Check credits tab for more info.